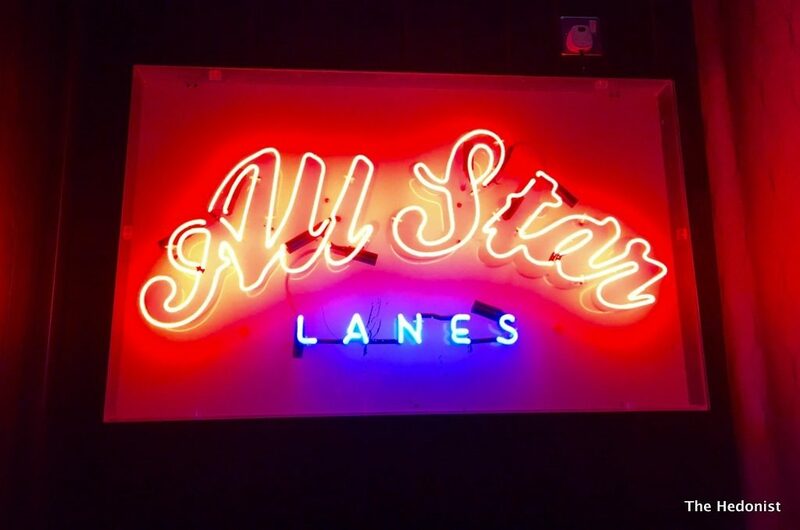 For aficionados of Americana the opening of the first All Star Lanes in London in 2006 was a seminal moment. 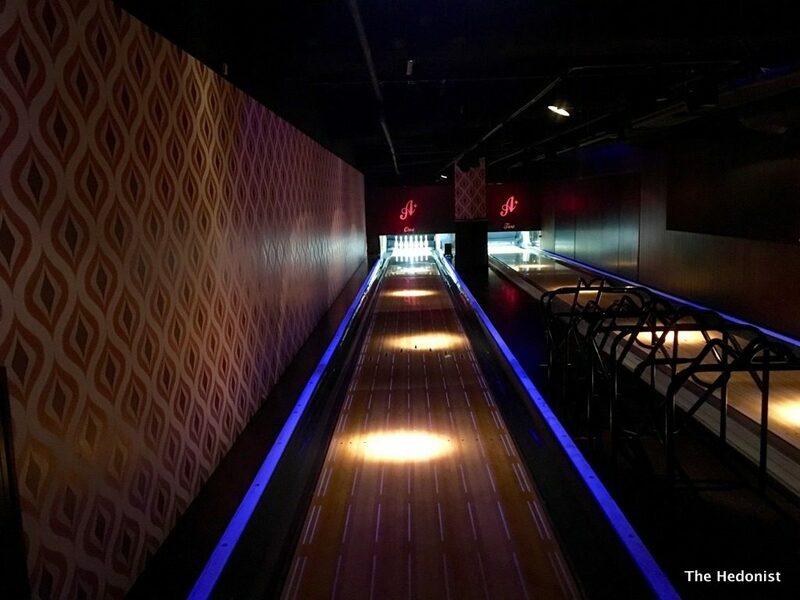 It meant an end to the dodgy burgers, watered-down lager and chart pop that characterised the other British bowling alleys. In their place came a sense of retro ’50s cool, great cocktails (including the legendary Ramos Gin Fizz-sadly no longer on the menu probably because it has to be shaken for 10 minutes…), food that you wanted to eat and proper Rock’n’roll on the turntable. I was a fan but hadn’t visited for a while so when asked to review I was very keen to see how it had shaped up now it was a part of a group of five. 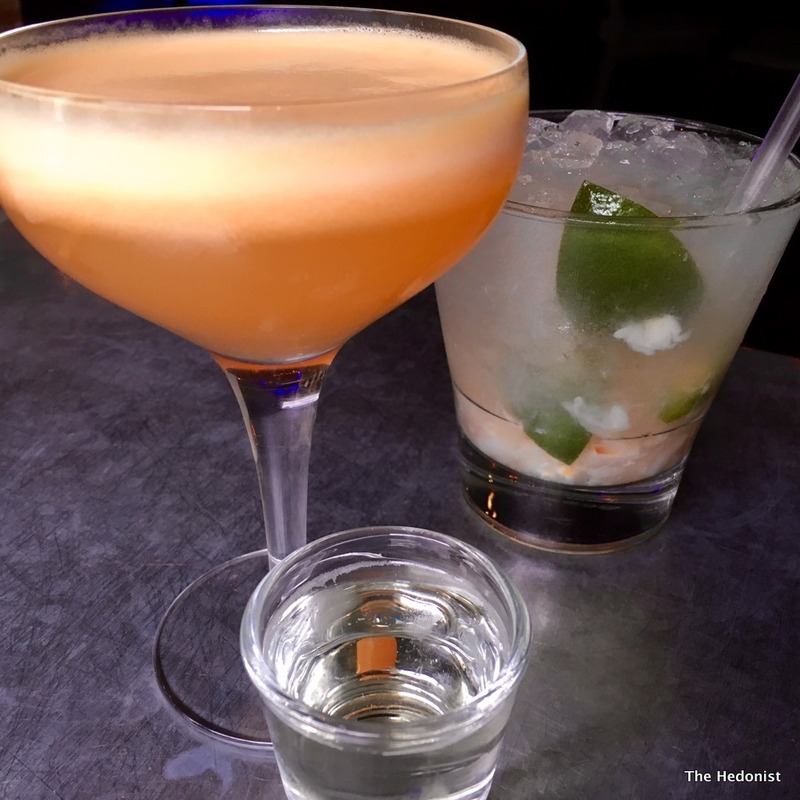 (Holborn, Bayswater, Shoreditch, Stratford and Manchester) I have long believed that bowling without alcohol is probably dangerous so I tried out a couple of cocktails. The Gin & Elderflower Julep Jar (£8) was a refreshing summer’s drink but my favourite was The Debbie Does (£10.50)- a delicious citrus based blend with a Prosecco chaser. Having slipped into some of the rather natty bowling shoes that are provided on arrival, I felt properly kitted out when my group was called to our lane. 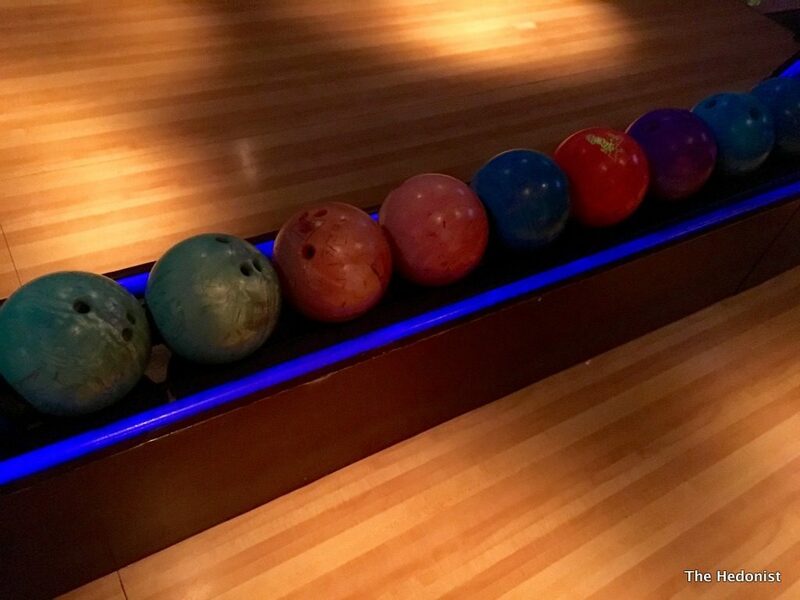 Bowling is very straightforward (and reasonably priced at £8.95 a game); in each round you get two opportunities to knock down the pins and there are balls of different sizes to suit all hand sizes. The scores are all managed digitally and it is a lot of fun-especially if you win! 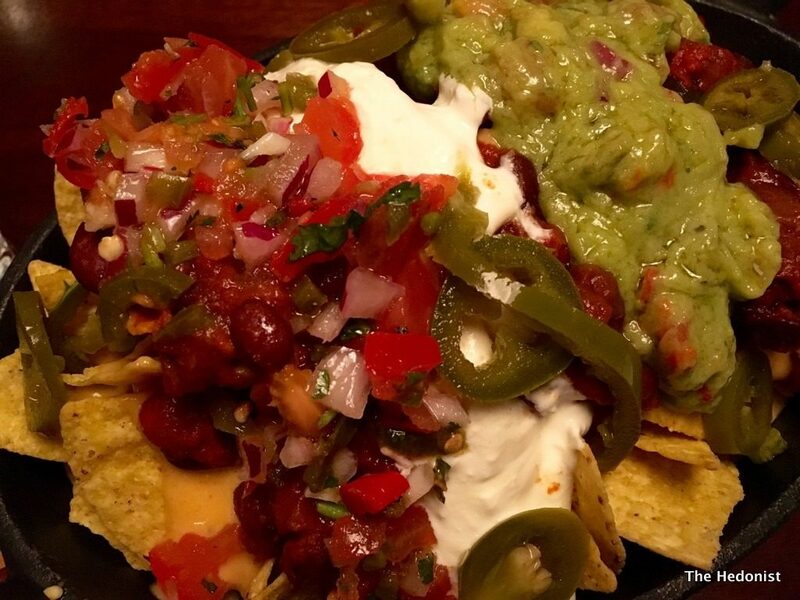 After all the exercise it was necessary to eat… Loaded Nachos (£10) came covered with smoky cheese sauce, guacamole, jalapeños, sour cream and salsa with added roasted veg (£3). The nachos came from the Sharer menu. It was a huge portion with the deliciously crunchy nachos combining beautifully with the melted cheese and softness of the guacamole. The roast veg made it into a great veggie mains option. Since we had finished our cocktails it was a relief to discover that there is a decent wine list at All Star Lanes from which I chose a delicious floral and citrusy Italian white, an Albente Falanghina, Feudi di San Gregorio 2015 (£27). 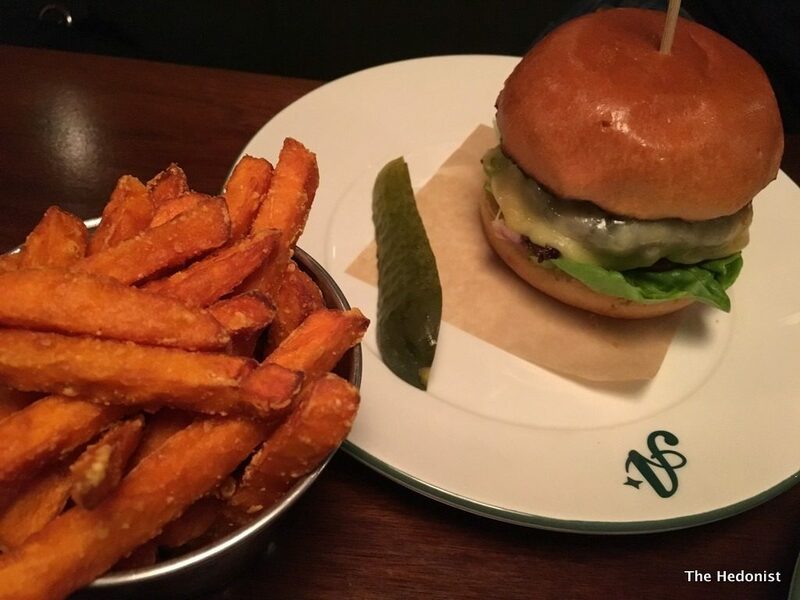 The Classic Burger (£8.50) with additional cheese (£1.50) came well-done rather than medium but was a properly made patty with a good quality bun and moreish sweet potato fries. 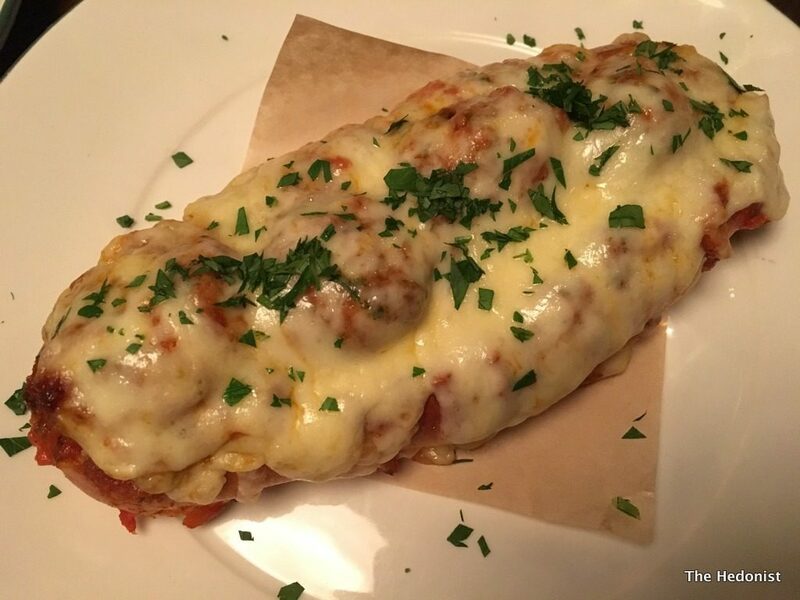 The June special was a Meatball Hoagie (£10.50)- a rich cheesy feast of meatballs, marinara sauce and mozzarella in a toasted brioche sub. This was a serious eat and not for anyone after a light supper! More slimming was the Whole Native Lobster (£24.50). 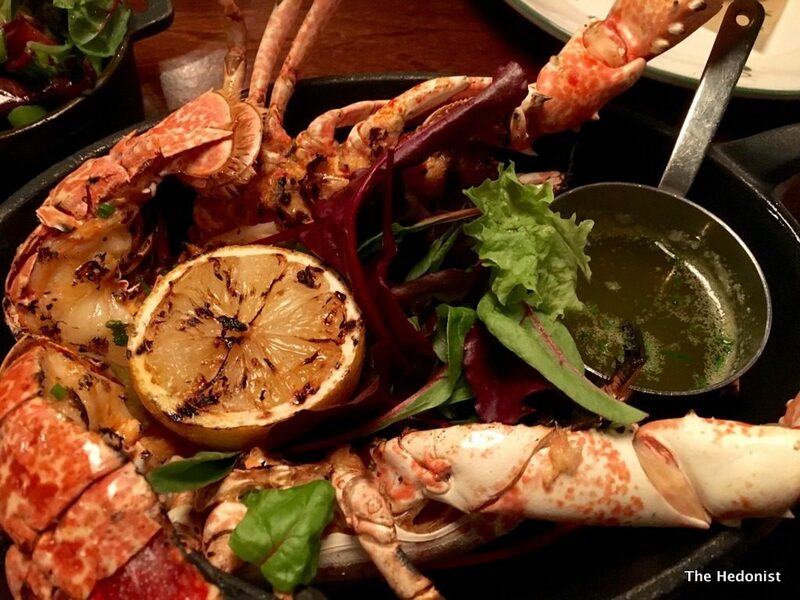 Perfectly grilled, soft and juicy it was served with lemon clarified butter and great fries. 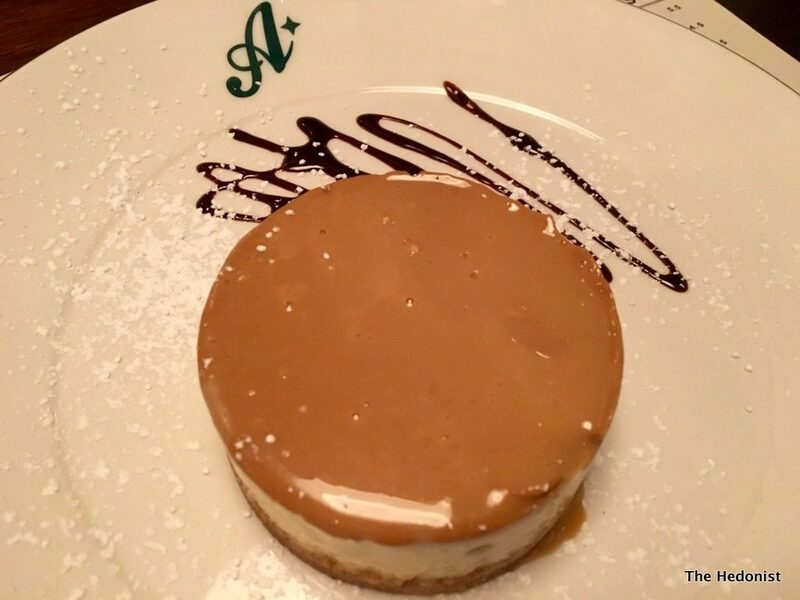 Having worked off at least a million calories I felt totally justified in my choice of dessert-the salt caramel cheesecake with toffee sauce (£5.50), the bitterness of the caramel being softened by the sweetness of the toffee. We were really well looked after by Marcio our waiter and a good time was had by all. For private or business parties you can book one of the group’s luxe private rooms but whether you are on a date or with family, workmates or friends you will have a good night out. 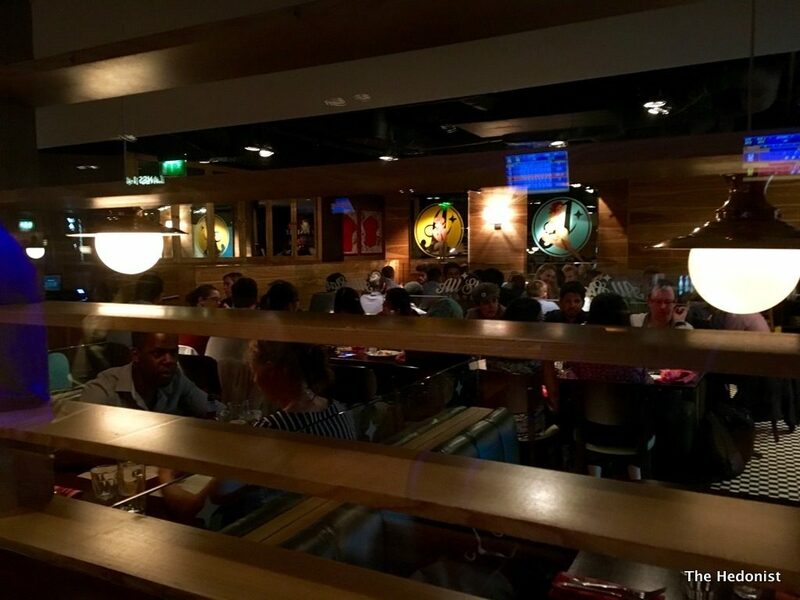 All Star Lanes are launching their exclusive All Star Lanes Independence Day menu from 1st – 4th July. 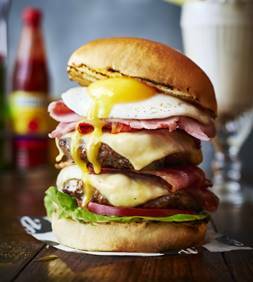 Featuring the ‘Dagwood Burger’ – 6 inches of magnificent meaty goodness, 12oz of prime, double chuck and rib patties and including fresh cuts of cured salami, spicy chorizo, deli sliced turkey, holey Swiss Cheese topped off with a runny, sunny-side egg in a toasted brioche bun. It’s a beast! Also on offer are a great selection of patriotic cocktails, including the Donald Trump inspired ‘Trump-a-rita’. Not sure if I can recommend that one but if that’s your bag try it while you can!